Powerful Recommendation Engine: Connects agents and brokers with the right risks and with the right carrier based on your actual preference and carrier’s appetite. 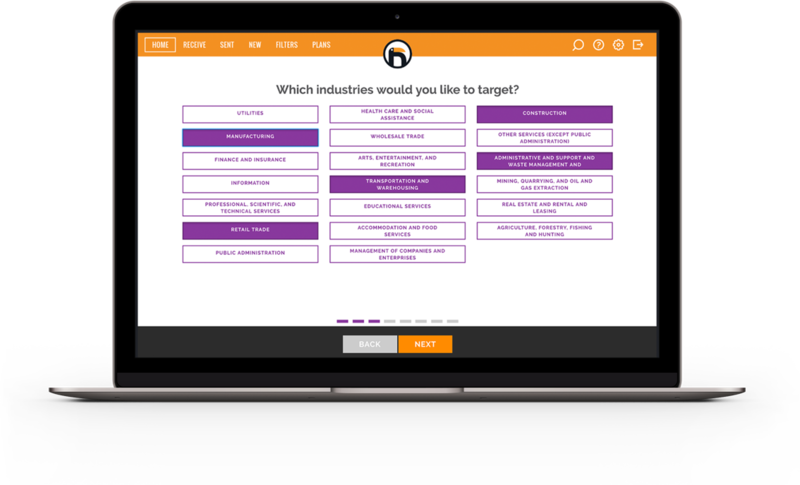 Designed to help carriers and agents to be asking less questions and doing more matching. Single-interface, multiple-quote capability: Designed to help speed up underwriting and provide a mind-blowing customer experience. 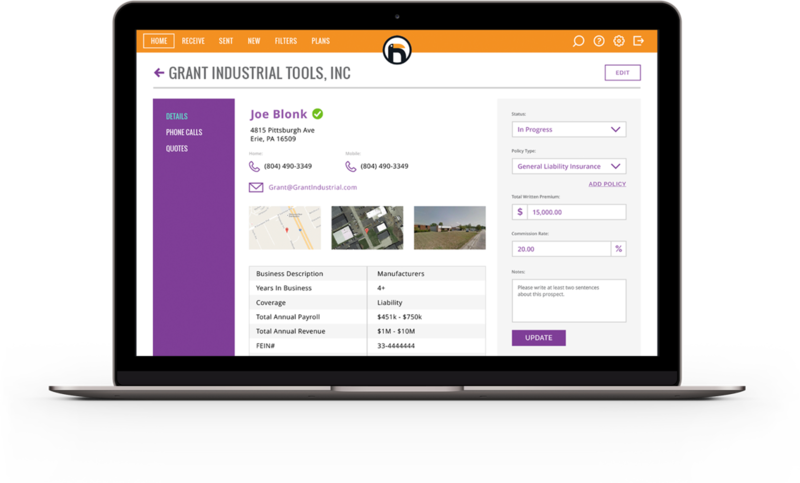 A single place to enter key information about a risk and get a short, quick, and accurate indication to quote and bind your commercial insurance opportunity. User-controlled carrier ranking setting: Designed to allows control and flexibility of defining how to rank carrier outcomes by class, product, or just about any other characteristics to help with matching and best outcomes. Our simple point-and-click graphic interface functions as a single pane of glass for brokers to triage risks, get real-time rates from participating carriers, and rank carrier partners based on fully customizable ranking algorithms that brokers can define. Our detailed interview process gathers the required business information to ensure an accurate and thoroughly vetted client to pass to the agent. The agent and carriers see the quote, and dispositions the outcome all in one place. Our API and libraries allows tech-enabled brokers to build your own powerful user interfaces on top of our Recommendation Engine for complete control. 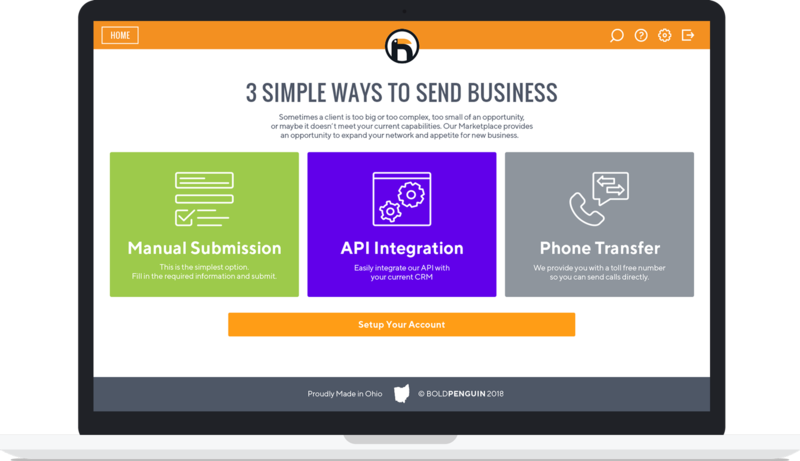 Our API doesn’t get in your way—it allows you access to the underlying capabilities of Bold Penguin—using what you want and leaving what you don’t. 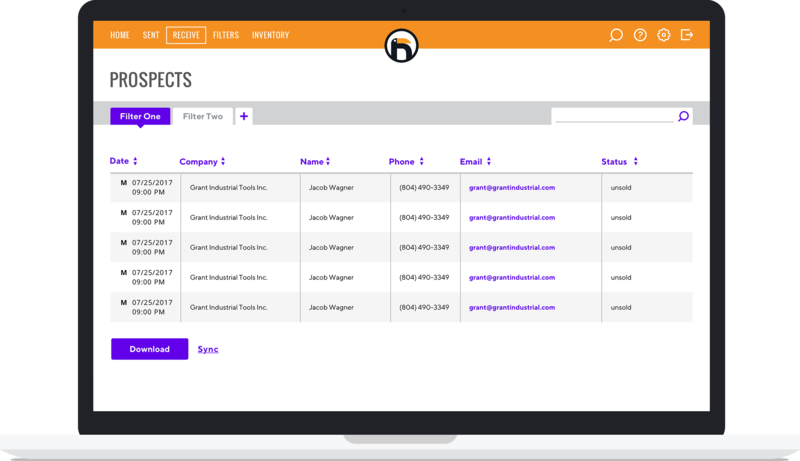 Use cases include integrating Bold Penguin into your in-house CRM, contact center, or creating an online storefront for you customers. — Dustin Hubbard, Vice President of Small Commercial IT at Homesite. — David Embry and Marshall Lockton, president of Mylo and SVP of operations for Lockton Group respectively. — Jim Smith, partnership manager of Hiscox Insurance. Our fully integrated connection allows large, complex brokers to pull risks that match your appetite using your dynamic filters for extremely granular targeting. Get exactly what you ask for, it's that simple. Our advanced filtering allows you to receive verified prospects that match your expectations. 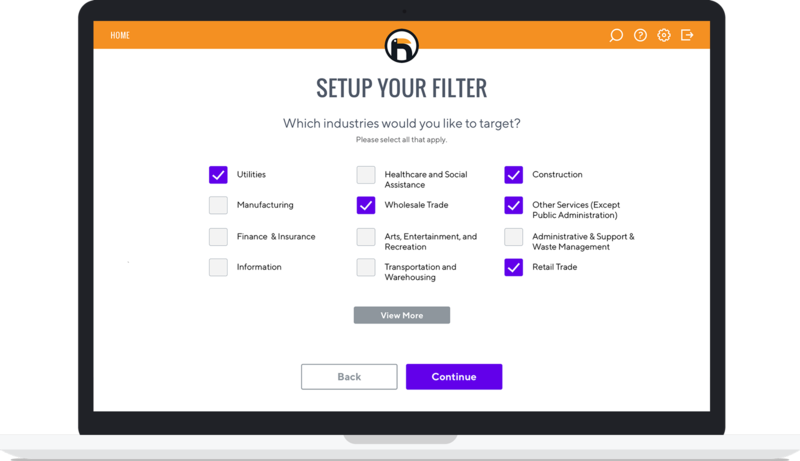 Setup your filters to target the exact types of businesses you can write effectively. Filters can be based on NAICs, coverages, size of business, location, etc. Earn a profit from clients that don't suit your appetite. Join over 3,000 agents that currently use our technology.